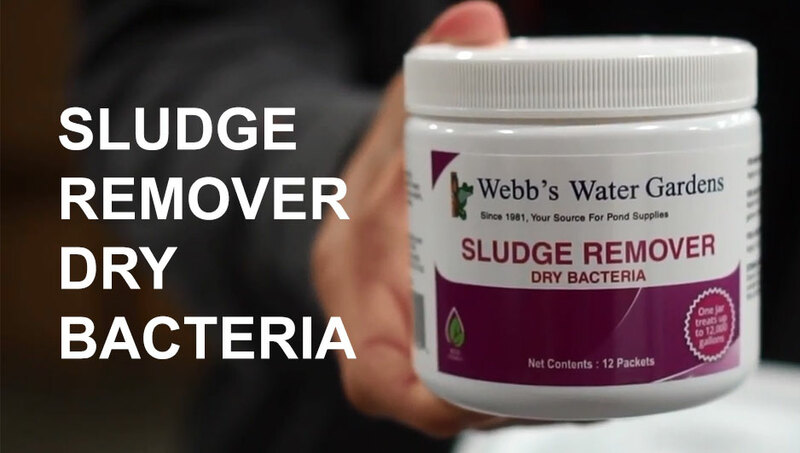 Sludge Remover Dry Bacteria Knock out pond sludge with our very own specialized sludge remover treatment. Packaged in easy, ready to use water soluble packets that quickly dissolve in the water. Treatment is super easy - simply toss and go. Knock out pond sludge with our very own specialized sludge remover treatment. Packaged in easy, ready to use water soluble packets that quickly dissolve in the water. Treatment is super easy - simply toss and go.